‘Build something amazing’, yes, that’s what Drupal 8 is all about. With over 200 new features and enhanced functionalities, Drupal 8 launched and captured the attention of small businesses, larger enterprise, start-ups, and global community. You will be surprised to know that enhancement on Drupal 8 framework was started in March 2011. With its beta and release candidate (RC) phase, developers, technology professionals, and industry leaders were anticipating finest outcomes and features from one of the widely-used content management systems across the globe. Drupal 8 was released in November 2015. 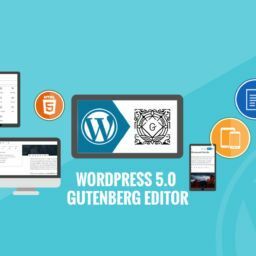 Since then, many users, developers, administrators have been exploring this standard, popular, and open source content management platform. While development, they’ve focused on user-friendliness along with multilingual capabilities. Also, the content presentation, building APIs, new ways to create data structures, mobile accessibility have gained the attention of many developers. This post will explain significant reasons to choose Drupal 8 for your next adventure or to migrate existing system to Drupal 8. Drupal 8 introduced a Twig, PHP-based, brand new theme engine. It’s fast, secure, and flexible. Creating beautiful and more attractive functional websites becomes easy with Drupal 8. Twig’s templates are easy-to-use and secure to create engaging experiences. When it comes to makeover the web, nothing can beat HTML5. HTML5 is natively available in Drupal 8, making it more enhanced through validations, functionality, and compatibility in mobile and other devices. You can now manage your configuration in Drupal 8. You can track your configuration changes using the version-control system. Carrying configuration elements including views, content type, fields from local development to the server is a lot easier! In Drupal 8, configuration data is stored in files, separate from the database. All the built-in themes in Drupal 8 are responsive. It has acquired mobile-first approach with admin themes, too. Admin theme adapts various screen sizes smoothly and new admin toolbar is also responsive in design. Featuring multilingual aspect, Drupal 8 has already grabbed the attention of developers worldwide. You can now create pages in multiple languages, filter views, and block visibility accordingly. The key advantage is admin interface also has built-in transitions. Drupal 8 now can be used as a data source and can give output as JSON or XML. Drupal 8 includes Hypertext Application Language (HAL) and makes utilization of web services capabilities easier. Additionally, you can post your data back to Drupal 8 from the front-end. Drupal 8 is equipped with the latest PHP 7 standards such as namespaces, PSR-4, traits and uses outstanding external libraries like PHPUnit, Composer, Zend Feed Component, Assetic and much more. Drupal 8 presents modern and revolutionary object-oriented code provided by Symfony 2. Drupal 8 comes with WYSIWYG CKEditor bundled with the core. It also offers the Spark initiative which simplifies the in-place editing capability. With this Drupal 8 improvement, content editors are given more power in hands. Content creators and admin can edit text in any page without switching the full edit form. Creation of drafts becomes easy and web security is effectively implemented. Views are now part of the core module hierarchy of Drupal. Front-end administration becomes easier than before allowing users to quickly create lists, posts, tables, menus, galleries, graphs, maps, lists, reports, blocks, and so on. Without attractive views, websites can’t grab the user attention. Drupal 8 makes editing a lot easier and provide users with several administration pages that help quickly create and modify content as required. Taking the content structure capabilities a step ahead, Drupal 8 is armed with numerous field types in the core. You can easily create field types such as entity reference, email, telephone, link, etc. You can attach fields to more content types or else create custom contact forms accordingly. In order to create rich internet applications, WAI-ARIA. ARIA Live Announcements API, and Tab Manager are important improvements in Drupal 8 and it provides excellent service for this standard technologies. Tweaked color contrasts, font sizes, JQuery’s autocomplete UI, and dialogs make Drupal 8 popular for creating and managing the content structure. This is one of the key features Drupal 8 has introduced. Now Quick Edit is a part of the Drupal 8 in-place editing for fields. It provides the ease of access to modify or change content, directly and quickly. With this Big Pipe part of Drupal core, developers can optimize their sites and load performance. It’s a great feature to have as you can observe the difference in site load times. 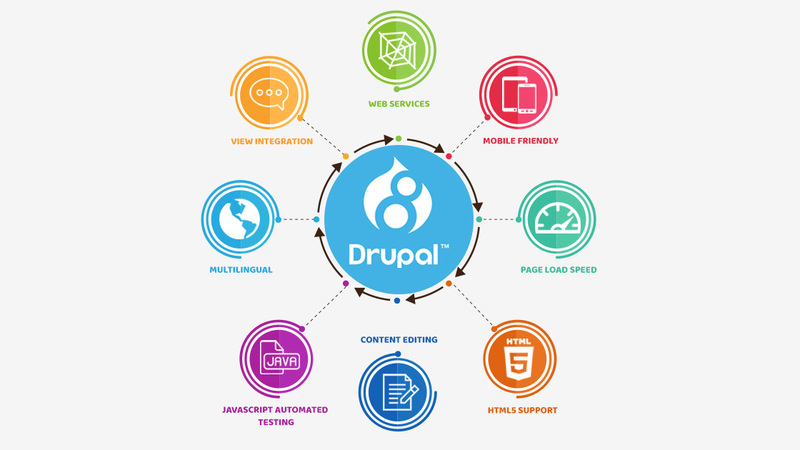 Drupal 8 comes with many considerably enhanced features that are worth implementing. 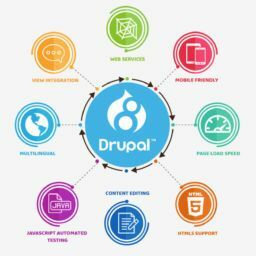 When it comes to CMS – Content Management System, Drupal is widely-used and a leading platform. With Drupal 8, many things have changed and we hope it will be more lucrative for your website. If you need assistance in Drupal then contact us now.